Along with providing the highest quality service and maintenance for your Pride & Joy, Worx Automotive are also proud to offer an extensive range of performance, aerodynamics and handling upgrades for your Performance Vehicle. Ess Tuning supercharging offers the most versatile, reliable and best value form of engine power increase possible. ESS is without a doubt the best and most compatible brand to go for. G-power the market leader, is celebrating 20 years of its high-quality supercharger systems. VF engineering lead the industry in developing complete "bolt-on"supercharger systems for European sports cars. 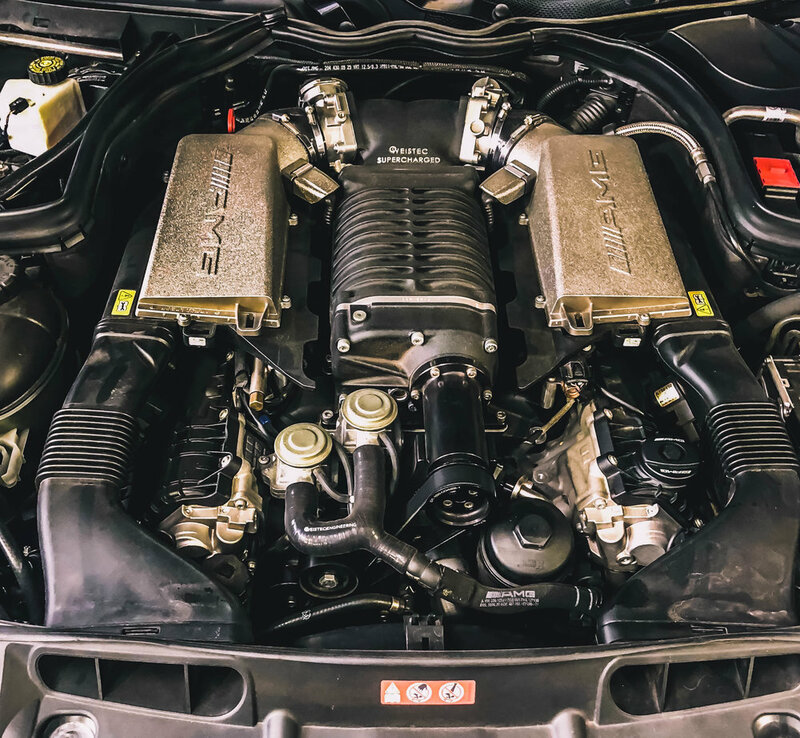 Eventuri No more unverified and misleading performance gains, we are consistently developing bespoke intake solutions which bring genuine power and torque increases. Guppe M Intake-ramairsystem-title. How do we shut off "heat" which has a big influence on the performance of the engine? From among the various possibilities, we have continued the trial in every approach. Forge dedicated in applying our wealth of knowledge and technical expertise, gained through years of research and development, to create products that deliver the highest level of quality. H&R the industry leader in high performance, quality suspension components. KW Suspensions is one of the world's leading suppliers of performance oriented suspension systems. KW's wide range accommodates nearly every vehicle platform. Öhlins is the number 1 suspension manufacturer of suspension for cars within aftermarket, OEM and motorsport with over 300 motorsport titles. BCracing high quality performance shock absorbers & forged wheels. Akrapovic full range of Akrapovič exhaust systems for sports cars that significantly improve performance. Tubi style Made in Italy quality in the production of mufflers, catalytic converters, exhaust manifolds and tips. Change your sound. IPE Innotech Performance Exhaust specialized in manufacturing high-end, performance increasing valvetronic exhaust systems for supercars and sports cars. Super Sprint Exhaust system has been researched, designed and tested to insure additional power and to enhance overall performance. Capristo industry forerunner when it comes to the design and production of high-performance exhaust technology. Eisenmann handmade, top quality craftsmanship. The result is an exhaust that fascinates the senses with its performance, style and sound.